His research and teaching focus on patient outcomes and quality of care. He was among the first to measure quality of life outcomes in people with HIV. He was one of the founders of the Outcomes Committe of the AIDS Clinical Trials Group of the NIH ACTG. He developed the MOS-HIV Health Survey, a leading measure of health related quality of life for people with HIV that is used widely in international trials and research studies. He has studied the handling of medical errors since 1988, and has published influential papers including “Do house officers learn from their mistakes” (JAMA 1991), “Medical error: the second victim” (BMJ, 2000). He was a member of the Institute of Medicine committee on Preventing Medication Errors, and Senior Adviser to the World Health Organization Patient Safety program in Geneva from 2007-2009. He leads the Armstrong Institute center for measures of quality of care and patient safety. 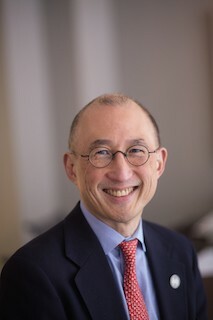 He was director of the AHRQ-funded Hopkins DEcIDE center for comparative effectiveness research from 2005-2013. He is co-developer of PatientViewpoint, a web portal to link patient reported outcomes to the Electronic Health Record. He is a practicing general internist. Dr. Wu has devoted his career to improving the experience of patients receiving health care, as well as their outcomes and safety. He has published widely in the areas of patient-reported outcomes research, with a focus on assessing patient-reported outcomes (PROs), and on the quality and safety of health care. Jensen RE, Snyder CF, Basch E, Frank L, Wu AW. All together now: findings from a PCORI workshop to align patient-reported outcomes in the electronic health record. J Comp Eff Res. 2016 Sep 2:0. [Epub ahead of print] PubMed PMID: 27586855. Wu AW, Snyder C, Clancy CM, Steinwachs DM. Adding the patient perspective to comparative effectiveness research. Health Aff (Millwood). 2010 Oct;29(10):1863-71. doi: 10.1377/hlthaff.2010.0660. PubMed PMID: 20921487. Wu AW (editor). The value of close calls in improving patient safety: learning how to avoid and mitigate patient harm. Joint Commission Resources, Oak Brook, IL, 2010.